When approving opioids, the FDA should go beyond examining the risks and benefits of the drug on the individual and also look at how such an approval would impact society at large and other members of a patient’s family, according to a new report. The report, “Pain Management and the Opioid Epidemic: Balancing Societal and Individual Benefits and Risks of Prescription Opioid Use,” was issued by the National Academies of Science, Engineering and Medicine. It calls for a new “action plan” to fight the opioid abuse epidemic that will require the FDA, other federal agencies, state and local governments, healthcare providers and other health organizations to work together in a long-term effort. Recommendations include promoting more judicious prescribing of opioids, boosting access to treatment for opioid abuse, preventing more overdose deaths, and spending more money on research to understand pain better and develop alternatives that are not addictive. In addition, education about the risks and benefits of opioids should be improved for both the general public and healthcare providers. Pain-related education should be mandatory for doctors that treat people with pain, while basic training in the treatment of opioid use disorders should be provided for other healthcare professionals. Prescribers and pharmacists should also be trained to recognize patients who are at risk for abuse or overdose and how to help them. The committee that wrote the report, which was requested by the FDA last year, is also calling on the agency to complete a review of the safety and effectiveness of all approved opioids. At 1, 4, and 7 years post-approval, the FDA should also reexamine an opioid to make sure post-marketing data is being submitted, according to Medscape. Also, the agency should take a more active role in monitoring opioids, rather than wait for reports to come in. Reducing opioid addiction has become a top priority for the FDA under Commissioner Scott Gottlieb, who in May established an Opioid Policy Steering Committee to find ways of tackling the problem better. 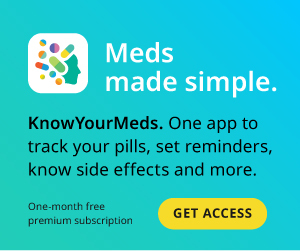 “One of the areas in which we can have the greatest impact is in reducing the rate of new addictions by helping to make sure that only appropriately indicated patients are prescribed opioids, and that the prescriptions are for durations and doses that properly match the clinical reason for which the drug is being prescribed in the first place,” Gottlieb said in a statement after the report was released.